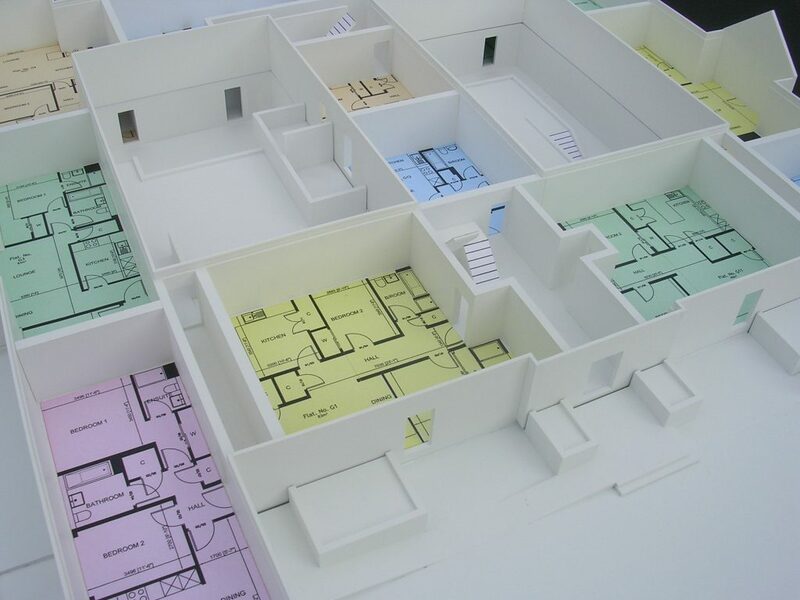 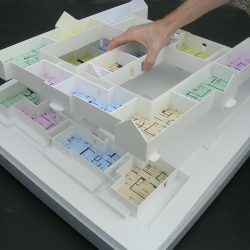 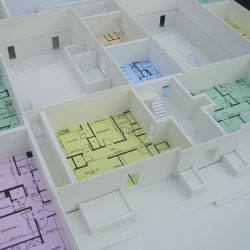 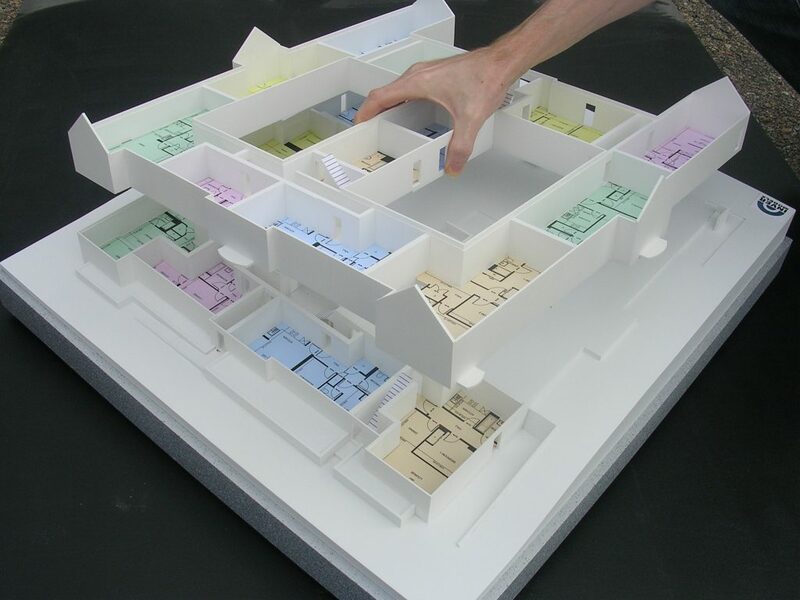 Inver Models was commissioned to produce a graphic marketing model of an apartment interior, showing accessibility and proximity to escape routes. 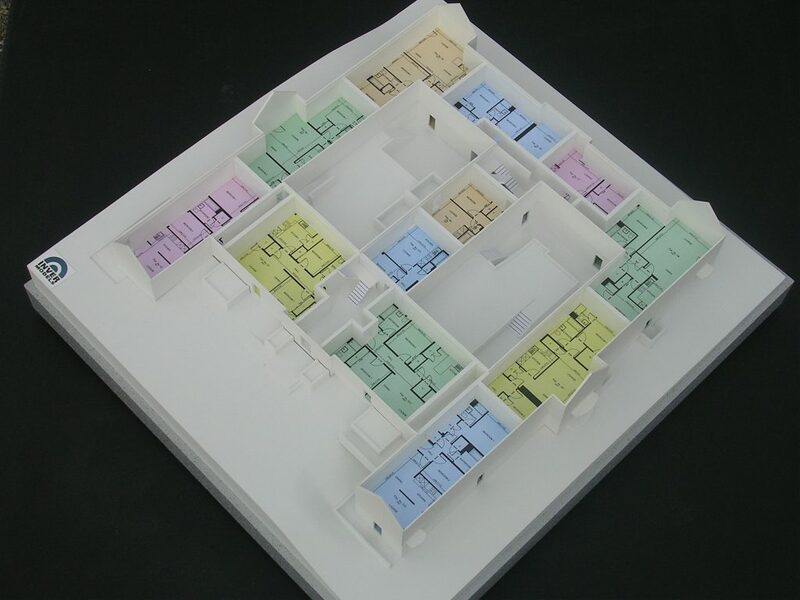 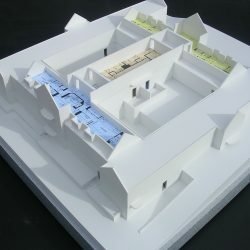 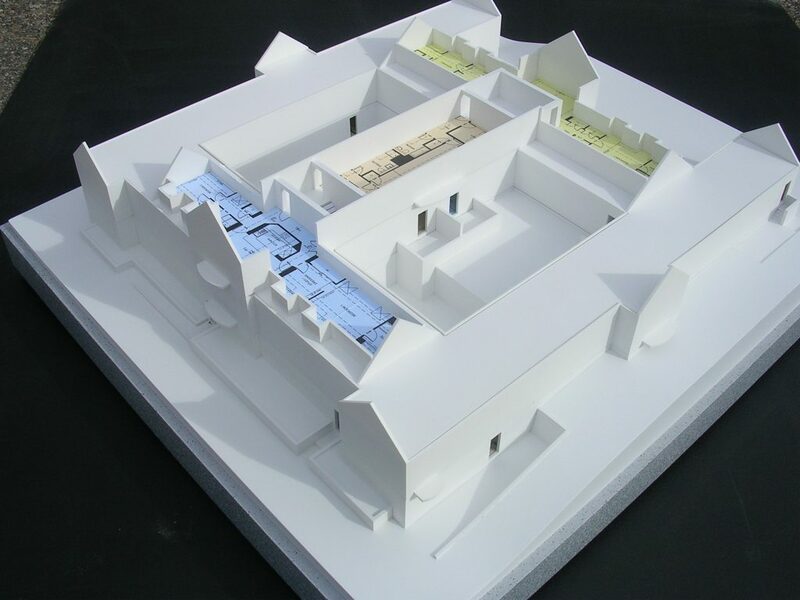 The client wanted a large, bold model in which their older clientele could understand what at first glance appeared to be a complex building layout. 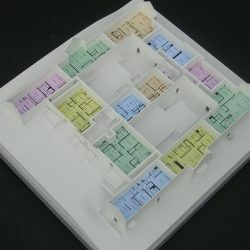 The model was produced at 1:85 scale.